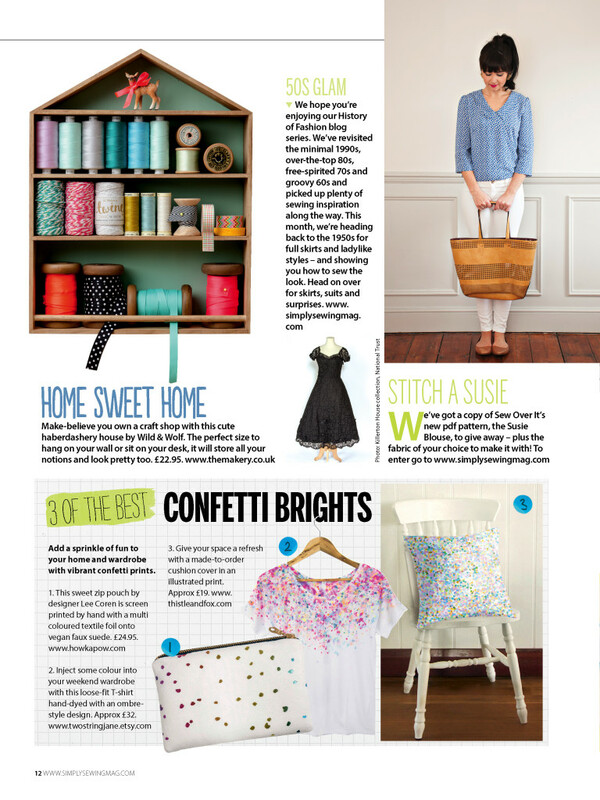 Just got word that issue 15 of Simply Sewing, featuring my splash dyed micro confetti top, is on sale now! Thanks to Michelle for featuring my top in the “3 of the Best Confetti Brights” article. Now, I think I need that display shelf from Wild & Wolf. You can check out their website here and find issue 15 on news stands everywhere.